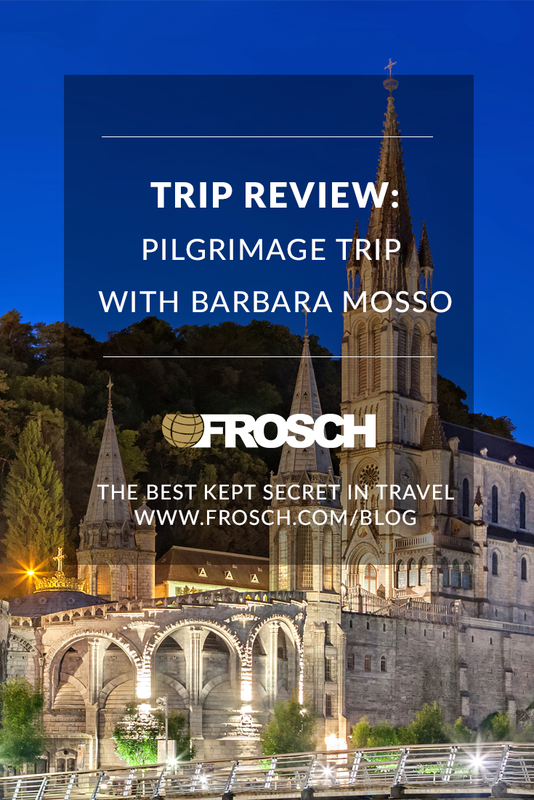 FROSCH Travel Advisor Barbara Mosso recently arranged a remarkable pilgrimage itinerary for three wonderful ladies. Having personally visited these sites several times, Barbara knew how to make this trip extra special for her clients. She shares trip highlights and her favorite tips below! Pilgrimages offer deeper, meaningful experiences that many travelers crave today. Travel can be fantastic to nurture one’s spiritual connection, particularly when traveling together with those of a similar faith. Pilgrimages provide a strong connection and sense of community, while also providing an opportunity to deepen your own devotion and faith. Barbara experienced this first-hand on one of her own journeys she took with her sister. Barbara’s sister was battling cancer, and Barbara traveled as her sister’s caregiver. Their pilgrimage provided a sense of peace and acknowledgement of something bigger than their own devotion and prayer. Each traveler will have a different experience which makes pilgrimage trips so rewarding. Some travelers might prefer a focus on the historical significance, while others are looking to deepen their own spirituality. 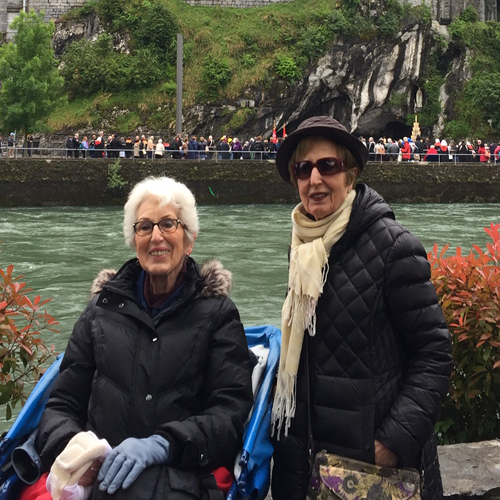 Barbara’s client carefully expressed her interests regarding the trip, so Barbara was able to plan the perfect itinerary that not only included pilgrimage sites like Fátima and Lourdes but also added a bit of fun in Paris as well. When Barbara talks to her clients about these types of trips, her first course of action is the guide selection since the wrong choice can ruin this type of trip. If clients prefer a historical focus, Barbara consults her local contacts and arranges guides best suited for this. If her clients are looking for a more spiritual journey, she arranges the appropriate spiritual leader and/or group. On the way to Fátima, a stop in Santarém is a ‘must’ to see the Miracle of the Bleeding Host. While in Fátima, attend Mass in the Chapel of the Apparitions, visit the Shrine of Our Lady of Fátima, and if you’re lucky, participate in a phenomenal Candlelight Rosary Procession. Experiencing the “Miraculous Baths” is life-changing for many visitors to Lourdes. 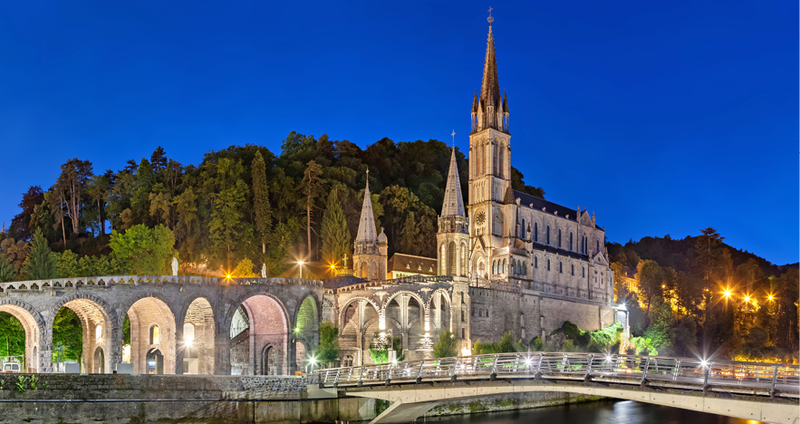 Tracing the life of St. Bernadette with a walking tour, taking in a Torchlight Procession, and visiting the Shrine of Lourdes are highlights of any trip. Attending mass in the Underground Basilica is especially moving. Expressing your wishes is always important but even more so for a pilgrimage such as this. As mentioned above, Barbara selects guides specifically based on her clients’ interests. Communicating your preferences, whether how obvious or simple they seem, are key to your Travel Advisor crafting the perfect pilgrimage. Barbara recommends contacting your FROSCH Travel Advisor at least six months prior to your preferred travel dates to begin the planning process. For holy days and to witness special ceremonies, the planning process could start a year or more before the trip dates. Like many trips, customization is always available. Barbara’s clients chose to extend their pilgrimage trip with a few days for some added fun, and you can do that too! Thank you, Barbara for your tremendous insight on a truly memorable trip!